The aims of this study were to investigate to what extent perceived health in panic disorder (PD) is distinct from related constructs and to examine the relationship between perceived health and various domains of PD severity. Seventy-five PD outpatients were administered instruments measuring perceived health, anxiety sensitivity, hypochondriacal fears and beliefs, catastrophic appraisals of the consequences of physical symptoms of anxiety and panic, various aspects of psychopathology, and PD severity. 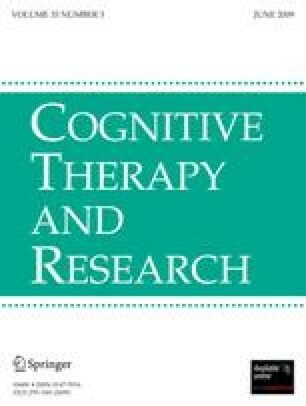 Results of the correlation, partial correlation, and multiple regression analyses suggest the following: (1) among PD patients there is much overlap between negatively perceived health, catastrophic appraisals of the consequences of physical symptoms of anxiety and panic, and hypochondriacal beliefs; (2) negatively perceived health is not significantly related to PD severity nor to any aspect of PD severity, whereas anxiety sensitivity and hypochondriacal beliefs have a significant relationship with the severity of anticipatory anxiety, and in that regard may be more clinically useful than perceived health before the beginning of treatment.